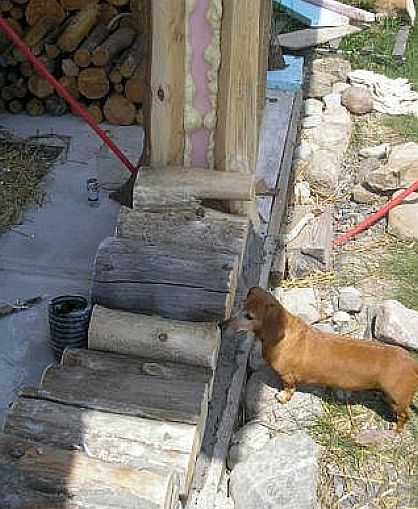 Tom Huber is most assuredly a master cordwood builder. His most recent cordwood project is his Cedar Eden cabin (and chicken coop) in the Adirondacks near Potsdam, New York. He uses CEM or cellulose enhanced mortar to build his walls and has written extensively about the benefits of cellulose fiber. Tom’s practice building was a shed. Here he perfected his stone foundation. 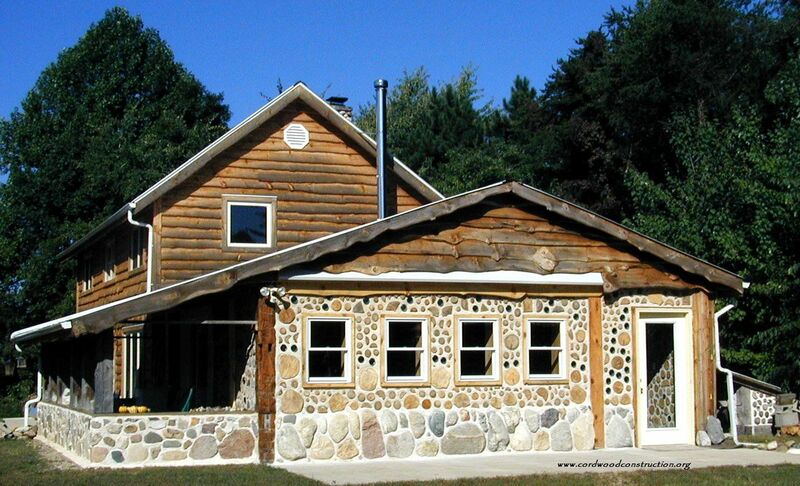 The stones have insulation attached to the back and then a cordwood “face” on the inside. 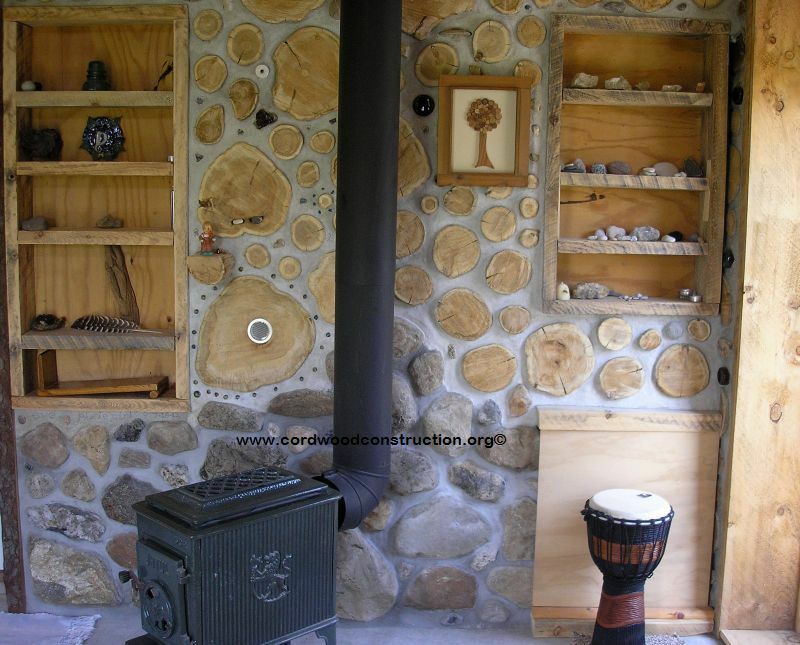 The full wall, above the stones, is 16″ cordwood. 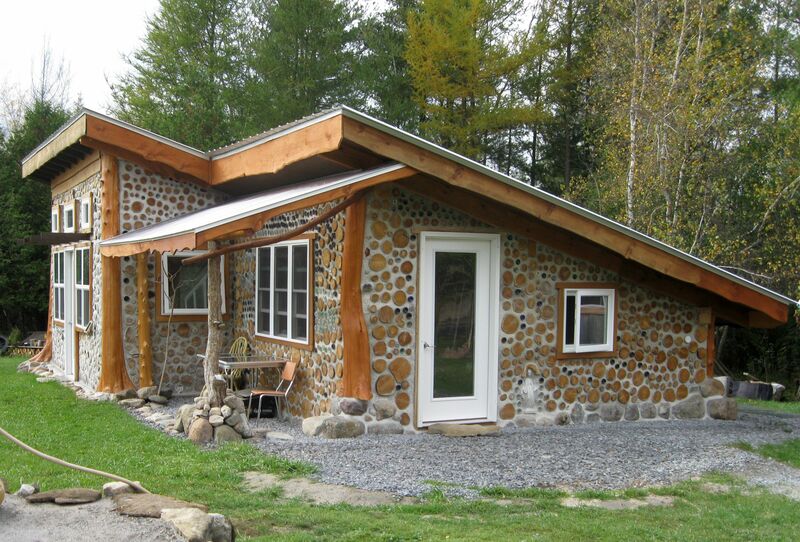 This stone has cordwood siding sitting on top. Those are one inch slices of cedar attached with a brad nailer. Back at Cedar Eden Tom has his bongo drum and Jotul stove ready for winter. Tom sure has a nice touch with the stone and cordwood infill. I think there is quite an artist in that young fellow. Tom’s dog is lucky he wasn’t put in the wall as a dog-end when he came over to check out the project. 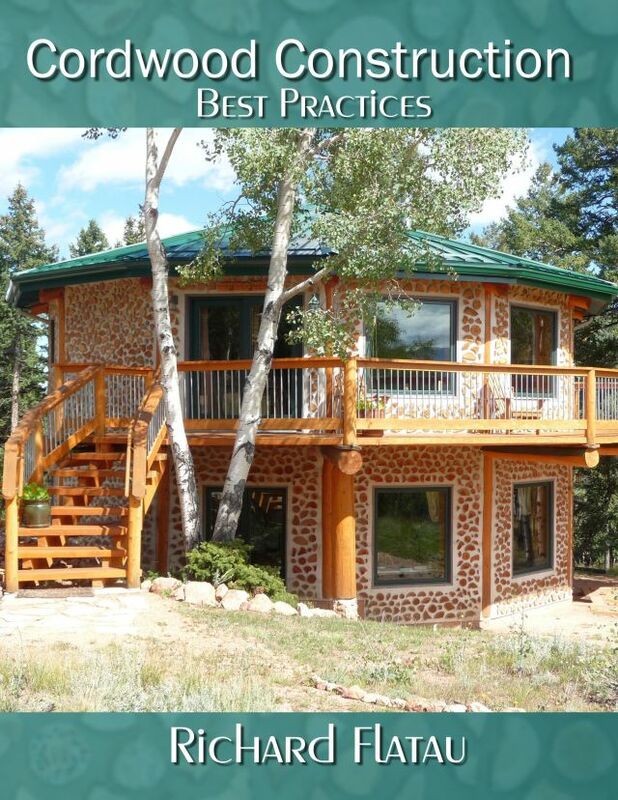 Tom’s CEM or Cellulose Enhanced Mortar is made from natural ingredients and provides a nice white mortar color.